Nearly five million Americans over the age of 50 suffer from dry eye syndrome. These patients complain of eyes that are dry, itchy, irritated, and sometimes downright painful. Eyedrops and artificial tears can deliver relief but is no more than a temporary solution. Furthermore, since artificial tears containing preservatives can only be administered up to 4 times per day, some find that they cannot achieve sufficient relief through such means. As a result, many patients that suffer from chronic dry eyes eventually end up seeking alternative methods of treatment. One option is the use of scleral lenses. Though commonly used to treat corneal irregularities and refractive errors, scleral lenses can also provide great relief to dry eye patients. Here are six reasons why. surface at all, thereby minimizing irritation. 2. Their design ensures constant hydration of the eye: The space between the surface of the cornea and the scleral lens is filled with a saline solution. This solution acts as a constant source of hydration for the eye, providing unbeatable relief for dry eye patients. Artificial tears as well as antibiotic can be added into the bowl of the lens prior to insertion to assist in lubricating and promote healing of the ocular surface. 3. They protect the cornea: Dry eye syndrome leaves the eyes more sensitive and the corneas more vulnerable to injury. 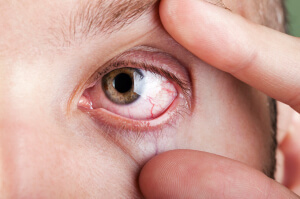 Even something as simple as the blinking of the eyelids can irritate the eye or even injure the cornea due to the mechanical friction of the eyelids on the cornea. Scleral lenses can act as a shield between a patient’s eyes and their eyelids/the outside environment. This shield protects the eyes from further irritation or damage. 4. They allow the eye to regain a healthier appearance: Patients with dry eye syndrome often end up with eyes that look extremely red, bloodshot, and unhealthy. Part of the problem is the condition itself, while the other issue is that the eyes are continually being irritated or injured further by blinking and/or insufficient hydration. By giving the eyes a shield from the outside world and a constant hydration source, scleral lenses play a therapeutic role in helping the eye heal or stay healthy. In turn, the eyes retain a healthier appearance. 5. Patients can continue using eyedrops and artificial tears during lens wear: Patients can continue using preservative-free eyedrops or artificial tears to lubricate the eye during lens wear. There is no “either-or” proposition between scleral lenses or eyedrops. With that said, many patients may find that they can decrease the frequency of artificial tear use once they start wearing scleral lenses, or that they only need eyedrops at night after they have removed their lenses for the day. crisp, clear vision during wear. 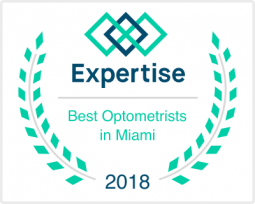 If you struggle with dry eye syndrome and have been looking for a more effective treatment method than just eyedrops and artificial tears, you should ask your Weston eye doctor about scleral lenses. Call Weston Contact Lens Institute today to schedule your consultation and learn more about these special lenses.